On February 9 and 10, Finovate will bring together the world’s top innovators, fintech entrepreneurs, experts, bankers, VCs and media, at the FinovateEurope 2016 conference, a two-day event entirely dedicated to the future of banking and finance. Hosted at the Old Billingsgate Market Hall in London, FinovateEurope is a demo-based conference for innovative startups and established companies in the fields of banking and financial technology. FinovateEurope, but also FinovateFall in New York, FinovateFall in San Jose, FinDevr in San Francisco and FinDevr in New York, are organized by The Finovate Group. These conferences showcase cutting-edge technology in a demo-only format. The Finovate conferences attract large audiences of senior financial and banking executives, venture capitalists, press, industry analysts, bloggers, regulators, and entrepreneurs. Each year, Finovate handpicks the companies that will have the opportunity to go on stage for exactly seven minutes and demo their product. The company looks for products that are new, innovative, and substantial to debut live on stage. Alongside the showcases, attendees will be able to connect and network during dedicated sessions. 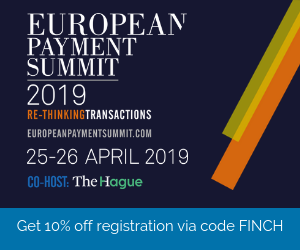 This year, FinovateEurope is expecting some 1,500 attendees, including senior executives from some of the world’s largest tech firms and financial institutions including Goldman Sachs, Banco Santander, MasterCard, Toyota, Visa, Microsoft, PayPal, BBVA and Accel Partners. 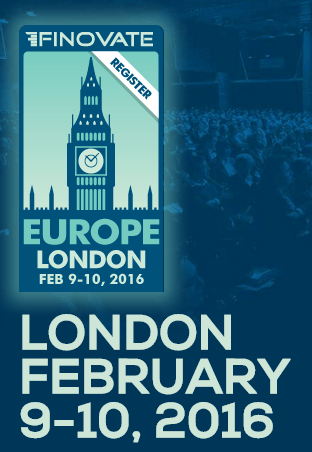 Sponsored by the Bancorp and KPMG, the event is the sixth annual FinovateEurope. Last year, 72 companies conducted live demos of their newest technology in front of a crowd of almost 1,300 fintech professionals. TransferWise, Betterment, Moven, Zopa, Ripple, CommunityLend and SuiteBox, are only a few of the popular startups that have showcased their product at Finovate conferences. This year, confirmed startups that will be presenting at FinovateEurope 2016 include eWise, InvestGlass, Qumram, SwipeStox, Finhorizon, Advice Robo, Asseco, Bankers Lab, Envestnet and Investify. 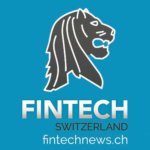 InvestGlass, a robo-advisor startup, and Qumram, a Big Data platform specialized in detecting online fraud and ensuring regulatory compliance, are both semi-finalists in the Swiss Fintech Award 2016 competition. Alongside eight other startups, namely Advanon, Crowdhouse, Go Beyond Investing, Knip, RaiseNow, Sentifi, Carbon Delta and WealthArc, InvestGlass and Qumram will pitch their product in front of jury and bank representatives on February 2nd, in Zurich. Featured image: FinovateEurope 2015, via Bizzabo.